The Discover credit card company is a wholly owned company that issues credit to individuals and businesses. Their business model is similar to American Express except that they offer credit cards to a larger group of people, including those with marginal and sometimes even bad credit. Their big selling points are similar to the American Express cards as well and include some of the best consumer protections in the industry. They are also innovators in the credit card field and were the first credit card company to offer cash back as part of having a credit card for all purchases when they launched. Discover started out in the consumer credit card market first so it is no wonder that they now have some excellent options for all types of credit card users. Their most popular cards include the Discover More Card which has excellent terms and great rewards for using the card. 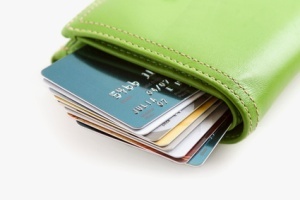 The card is a no annual fee card with a variable interest rate that tops out at less than 20% in most cases. It also gives card holders 5% cash back on specific categories of purchases, depending on the time of year the card is used. For example, from July to September things like gasoline purchases, motel stays, movies and other entertainment are covered at the five percent level. All other purchases get 1% cash back and there are even 5 to 20% cash back offers available through the Discover Card online shopping mall. Another interesting card that is available is called the Discover Open Road card. This card gives card holders all of the great interest rate options as well as the no annual fee as the other card but with a different reward setup. Instead of calendar based big rewards, using the card for gas and restaurant purchases always gives the card holder 2% cash back as well as the 1% for everything else. The Discover mall gives the same cash back rewards as well and the rewards can be converted into cash, gift cards or merchandise. The final card available to most consumers with cash back rewards is the Discover Motiva card. This card pays card holders back for simply making on time payments. While they get the standard discover 1% cash back and the cash back bonuses for Discover online shopping mall purchases, card holders also get one month of interest back for every six on time payments. For those looking to reestablish good credit, this is an excellent card choice for them. Discover cards also come in two varieties that give travel miles to card holders. These cards give card holders some excellent travel rewards, with each dollar spent paying out two miles of travel credit. With the Miles by Discover, there is no annual fee and the two miles per dollar is capped at three thousand dollars a year. This card also gives a bonus of 1,000 miles free each month for the first year. The other travel miles card from Discover is called the Escape card. This card does have an annual fee of sixty dollars but gives card holders unlimited double miles as well as up to 25,000 free miles, given out 1,000 miles a month for the first 25 months. While not as prolific as the offerings from all the other credit card companies, there are a few really good options for businesses. Both cards offer the power of the Discover network including the consumer protection and fraud protection that Discover is known for. The business can choose from a card that gives 5% cash back on business supplies and 2% on gasoline each year for the first 2000 dollars purchased as well as 1% unlimited cash back on all purchases or the Discover Business miles card, which gives double miles on the first five thousand dollars of travel and gasoline purchases each year and unlimited one mile per dollar travel rewards that have no restrictions. There are two other options available. The first is the Discover Card for students. The student cards come in two flavors with different cash back rewards but both are designed for smart use by students and have monitoring available for the student’s parents as well. There is a credit limit but the parents can set spending limits on both cards so the student can use the card for their monthly allowed amount. The Discover Student More card offers a 5% cash back schedule that varies from month to month which purchases are eligible as well as a 1% cash back offering on all purchases. The other card is the Discover Student Open Road gives 2% cash back for all gasoline and restaurant purchases, making this an excellent card for students who commute or drive home every weekend. The final option is actually not a credit card at all. Instead, it is Discover’s new gift card series. They can be loaded with values from twenty dollars to five hundred dollars and typically cost only four to seven dollars to purchase. Discover, as with Discover credit cards, allows the person purchasing the gift card to choose from many different cards so the perfect themed card for any occasion is available directly from Discover’s website. Discover gift cards are perfect as gifts because they avoid the taboo of giving cash as well as being easier to use than cash in many ways. For many people, gift cards are the best choice because they can be used anywhere and are the only way to go when shopping online. In fact, they are useful for online purchases as they are temporary cards that can be thrown away after being used with no worries of identity theft or fraud on the card. Discover’s network gives people a wide range of shopping outlets and the Discover gift card lets people access many of those outlets easily and safely.